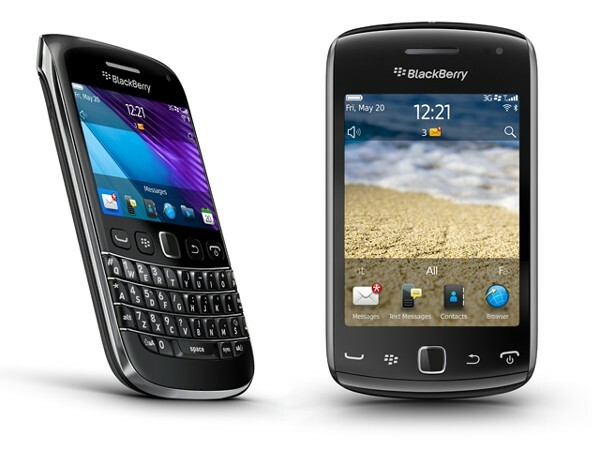 Now that we've seen all the leaks and heard all the rumors, RIM has finally announced the BlackBerry Bold 9790 and Curve 9380, welcoming two new members to the OS 7 family. Picking up where the Bold 9780 left off, the comparatively higher-end 9790 boasts a 2.44-inch touchscreen display with 360 x 480 resolution, and is powered by a 1GHz CPU. The QWERTY-equipped handset also ships with 8GB of onboard memory and features a microSD slot that offers up to 32GB of additional space. The Curve 9380, meanwhile, is an all touchscreen affair, with a 3.2-inch, 480 x 360 display and a five megapixel camera. RIM hasn't offered any other details on the 9380's specs, though the company did specify that both devices will offer NFC and augmented reality support, and will come pre-loaded with BlackBerry Messenger, Documents To Go Premium, and BlackBerry Protect. No word yet on pricing or availability, though RIM says to expect a launch "over the coming weeks." Find more details in the full PR, after the break. RIM unveils BlackBerry Bold 9790, Curve 9380, hitting the market within weeks originally appeared on Engadget on Tue, 15 Nov 2011 04:31:00 EDT. Please see our terms for use of feeds.